Starburst slot machine is a 5 reel video slot, powered by Net Entertainment software. It features classic slot symbols, such as Bars and 7evens and space themed graphics and sounds. In Starburst slot you have 3 main control buttons. First is the coin value which goes from €0.01 to €1. Second the number of paylines from 1-10 and third is the level which also goes from 1-10. Starburst available on Mac and all mobile platforms: android, iOS, windows, etc. US players cannot play Starburst slot machine for real money. Starburst slot machine allows you to bet as little as €0.01 which is nice. The maximum bet per spin is 100€. The maximum win is 50,000. If the wild symbol appears on reels 2-3-4 it triggers the Free Spins feature. 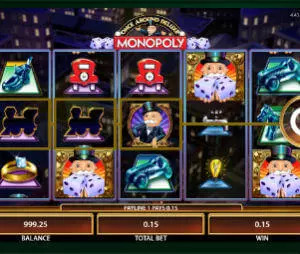 The maximum number of free spins is 3, which is relatively low. The highest payout symbols are the Bar, red 7 and the golden diamond. Wild substitutes all symbols. The downside is that you are paid only for the highest winning line (in case you have more than 1). We can’t say that Starburst slot rocked our existence. The best parts of this slot is the simplicity, minimum bet of €0.01 and low volatility. If you are looking for special effects and bursts of adrenalin- you should check other slots; but if you are looking for a classic slot with long playtime and low bankroll- Straburst slot is a perfect solution.